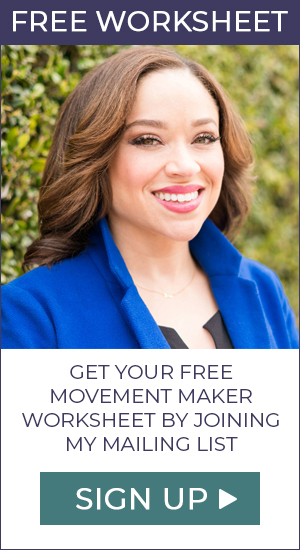 Movement Maker Tribe, I want you to meet someone I deeply admire: Jenifer Sarver. Jen’s a badass who sets bold, inspiring goals for herself and goes after them with gusto. 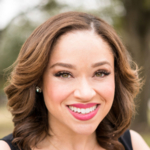 In December, just three months before the Texas primaries, Jen jumped into the race for Representative Lamar Smith’s seat in Texas’s 21st congressional district. What I admired so much about her campaign is that it was civil, classy, and authentic to her—in other words, her campaign was a breath of fresh air in a political environment that’s unwelcoming, if not outright aggressive, toward moderate voices on the right, what Jen calls “vintage Republicanism.” She’s taken a lot of flak for her calls for moderation, stability and bi-partisan collaboration, and yet she’s never wavered. That’s exactly why Jen stands out, and why, for my part, I’m betting we’ll be seeing a lot more of Jen on the political scene in the coming years. 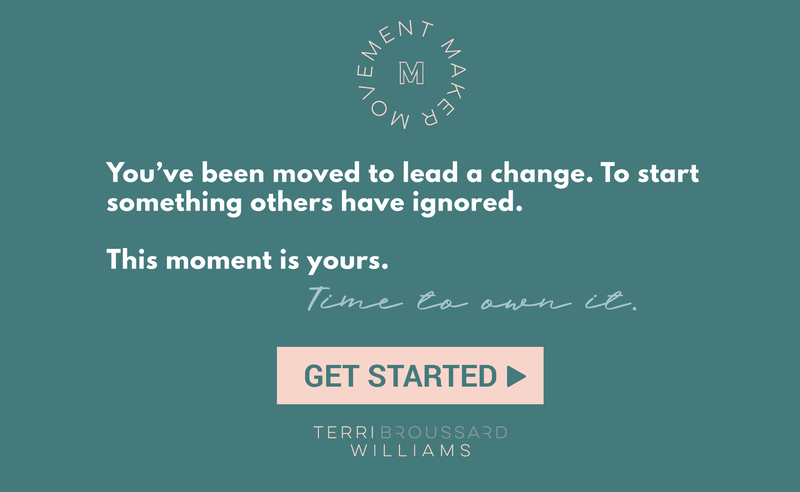 There’s so much to learn from Jen, especially when it comes to turning moments into movements, because the very qualities that make her such a refreshing candidate —authenticity, boldness, and truth-telling — are what’s needed for a movement to take off. Jen and I sat down recently to talk about what advice she has for anyone contemplating their next big move. Here are her words of wisdom. With so many Republicans cashing in on far-right populism, there’s not a lot of space for those with more moderate views. Even a political consultant Jen met with told her to embrace the hard right during the campaign and then equivocate later. That was a common refrain, even among trusted advisors. But Jen refused to do that, even if it would cost her votes. She instead emphasized the need for collaboration across the aisle and for stability in the Republican Party. Holding firm to her values will pay dividends in the long run. We need steady voices of reason, and Jen will be someone people turn to precisely because she doesn’t equivocate. From 2002 to 2004, Jen worked as a senior staff member for U.S. Senator Kay Bailey Hutchison. The experience was a formative one. She deeply admired how Senator Hutchison put people before politics rather than towing the party line. “What made her such a great legislator was that she always put Texas first,” says Jen. And that core principal—people before politics—was at the center of Jen’s congressional campaign. 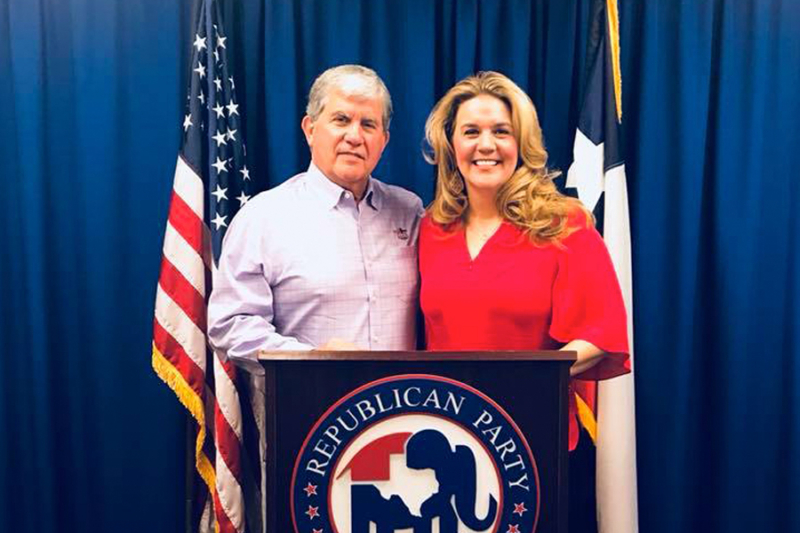 Throughout her career, Jen has looked to strong leaders like Senator Hutchison to inspire and challenge her to be better. She wouldn’t be where she is today if she hadn’t taken advantage of every opportunity to learn. Who will support you when you’re ready to do something big and bold? Those people are your personal board of directors. “You can’t do anything alone,” says Jen. “You need people to both be your champion and give you honest feedback.” For Jen, maintaining relationships and volunteering have been keys to building a strong network. That means staying in touch in ways that are meaningful and authentic with people from every stage of her life. Meanwhile, volunteering has forged connections that have a lasting impact. A friend she went on a mission trip with nearly 20 years ago helped her run her campaign.